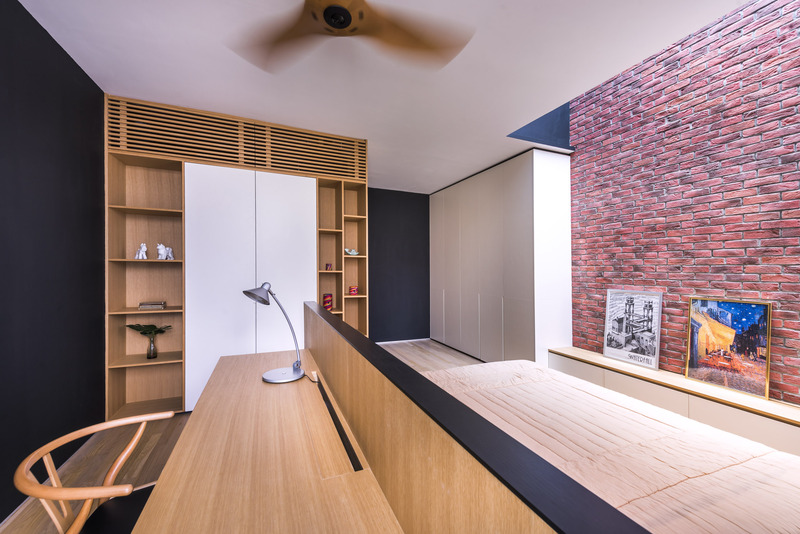 The Loft House is a semi-detached house located at a highly visible corner in a quiet neighborhood. 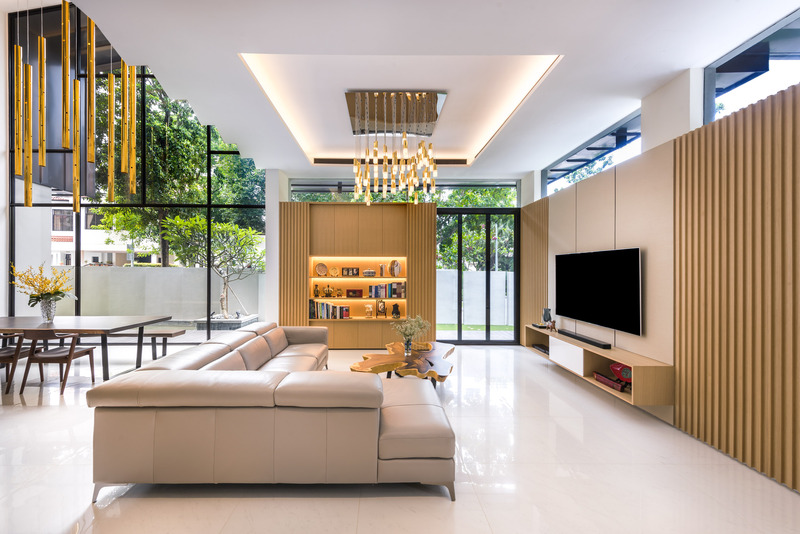 The design concept of the house is derives from the client’s brief – which is polemical. 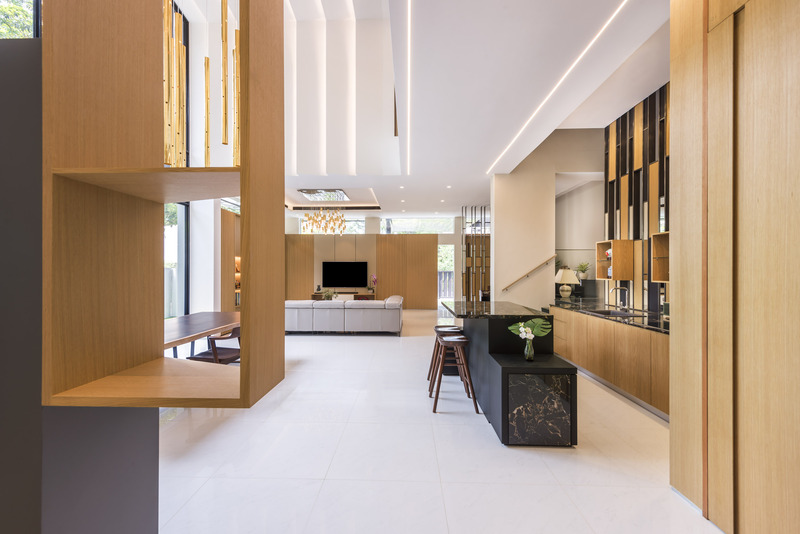 The client wanted a house that response well to the tropical climate in Singapore, but at the same time contemporary. 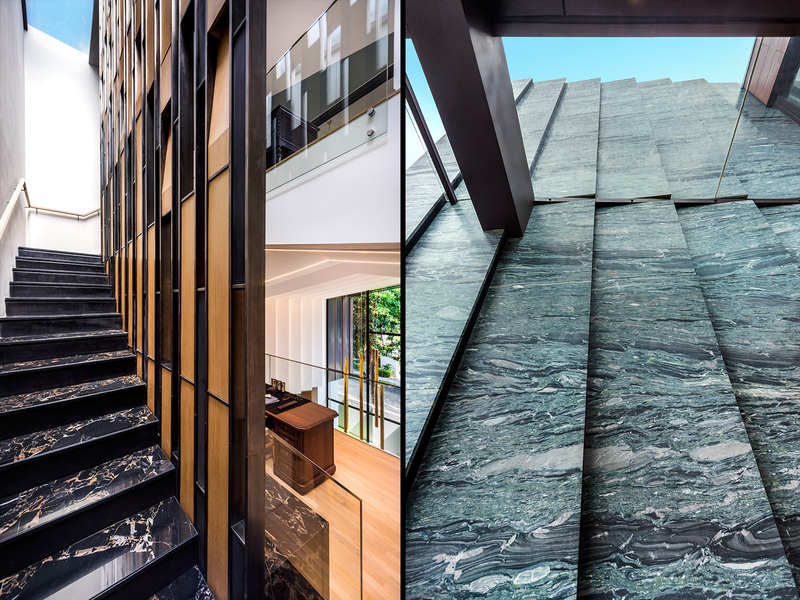 They values their privacy but at the same time wanted visual access to the natural surrounding. In response, we created a house that takes on the silhouette of a typical house in the Tropics, with the unmistakable pitch roof. 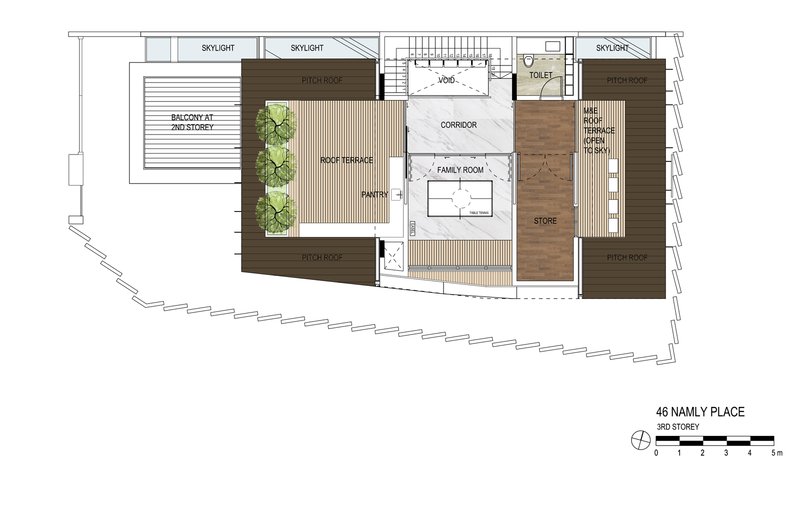 The roof then continue down to the 2 short sides of the house – transform itself into the facade (sun-shading) cladding to shield the inhabitants from the East and West Sun. 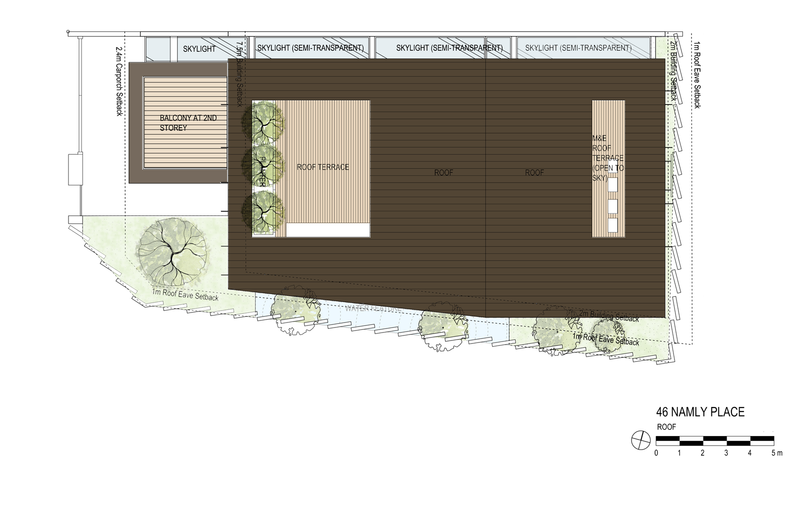 The facade then folds in to become the overhang of the Ground Floor, providing shades to the ground floor activities. 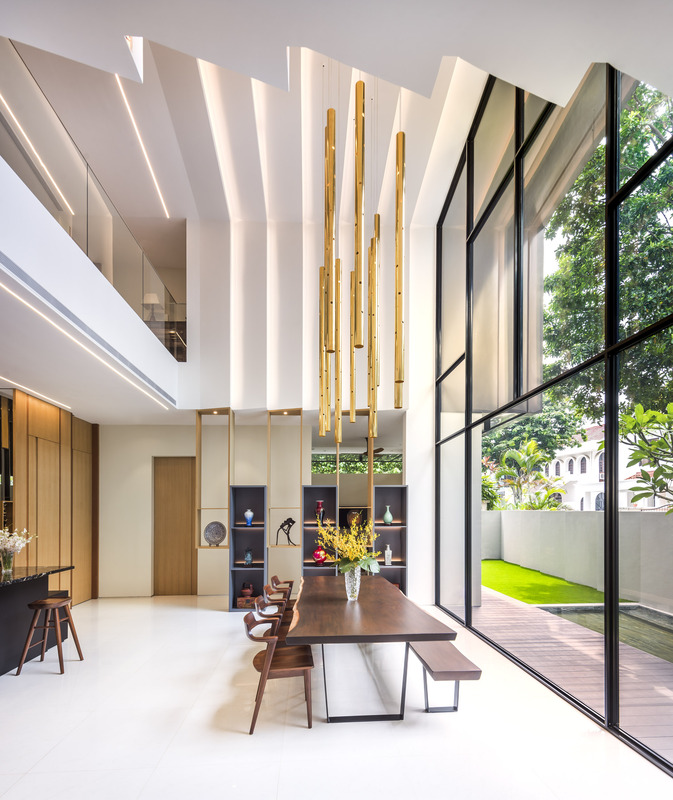 The overhang finally raise up at the centre portion of the house to accentuate the double volume dining space – the most public space in the house. 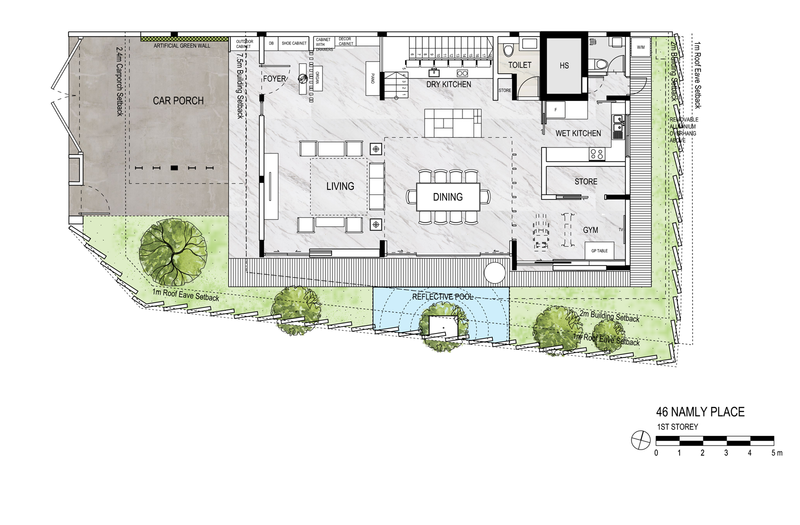 The planning for the house is divided into 3 floors; The Ground floor is the public realm with the living room, dining space, Gym and Kitchen. The Second floor is a private realm where the 3 bedrooms are located. The Attic is the most private space with a family room and a outdoor terrace. 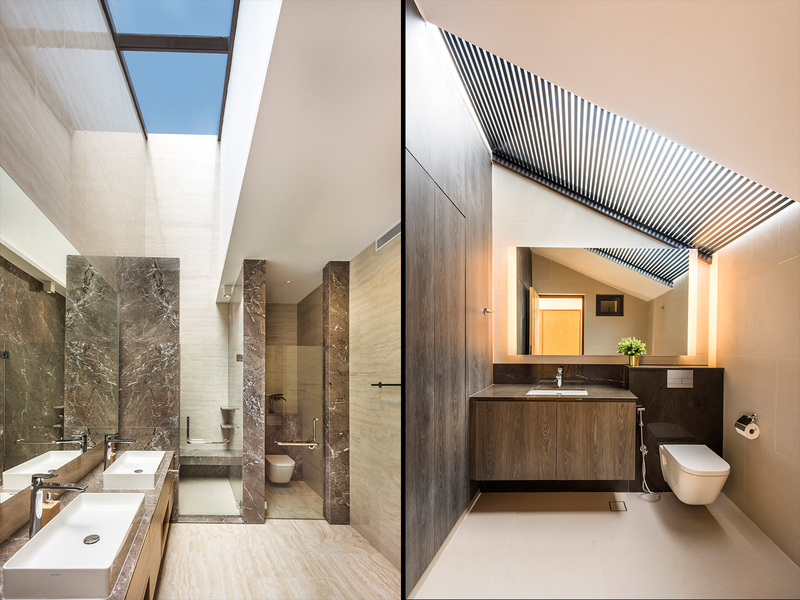 Introduction of a continuous skylight strip is the design strategy to ‘detach’ the house from the neighbour. 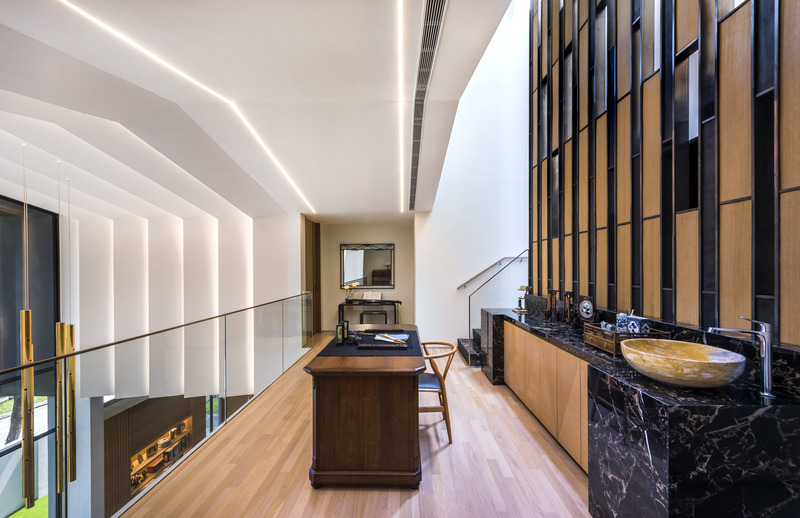 The skylight is also useful to introduce natural lighting into the deepest corner of the interior space that is abutting the partywall. Spaces such as the stairwell, the master bathroom, the 2nd bedroom and the attic powder room benefited from this design strategy. The highlight of the house in placed in the centre. 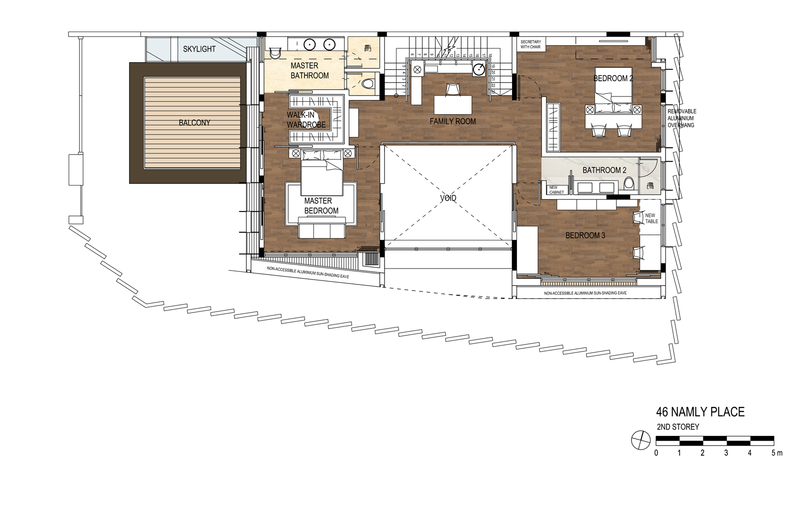 It is a double volume loft where the social gathering is designed to take place. The programme for such social gathering is the dinning space, where the owners will host their guests. 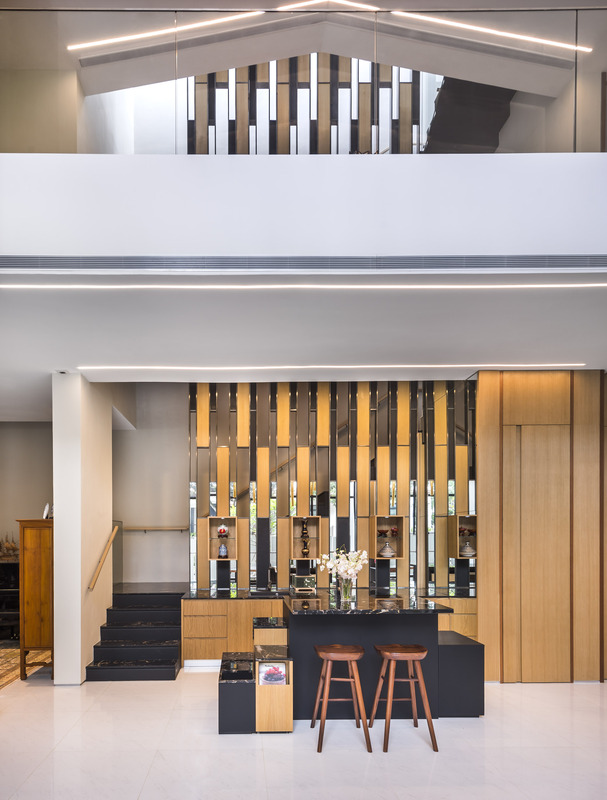 Visual connectivity is extended from the ground floor to the 2nd floor and beyond, through a feature metal screen that integrates the staircase. 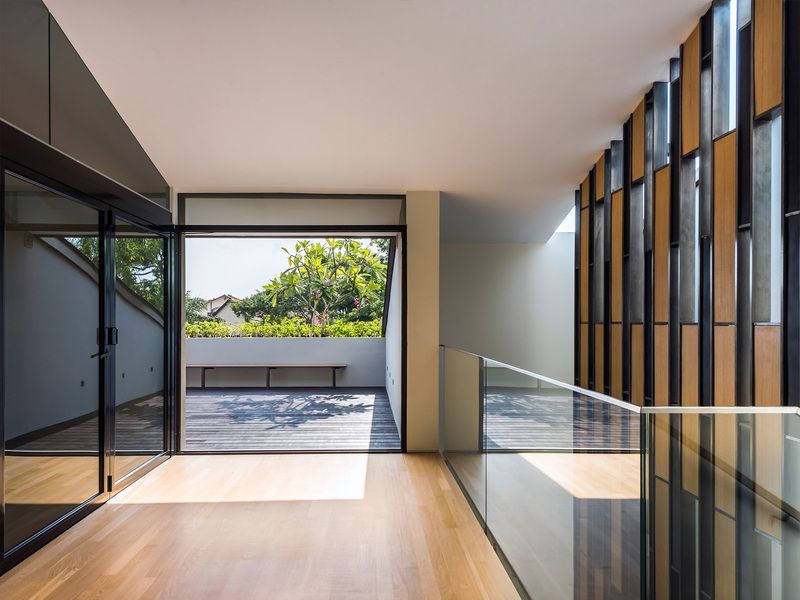 With the full height glazing at the facade, natural light is brought into the space to give it an uplifting feeling. 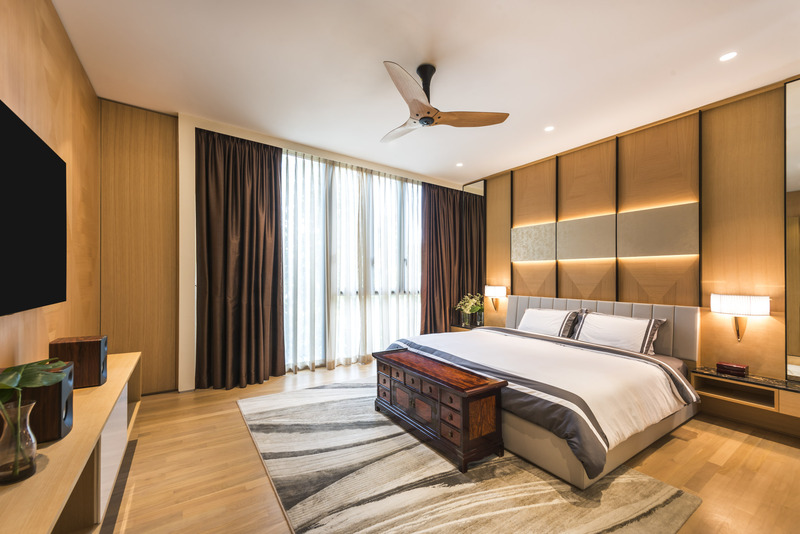 The Master Bedroom is the most intimate private space in the house. The design takes on a warmth and cosy feel. 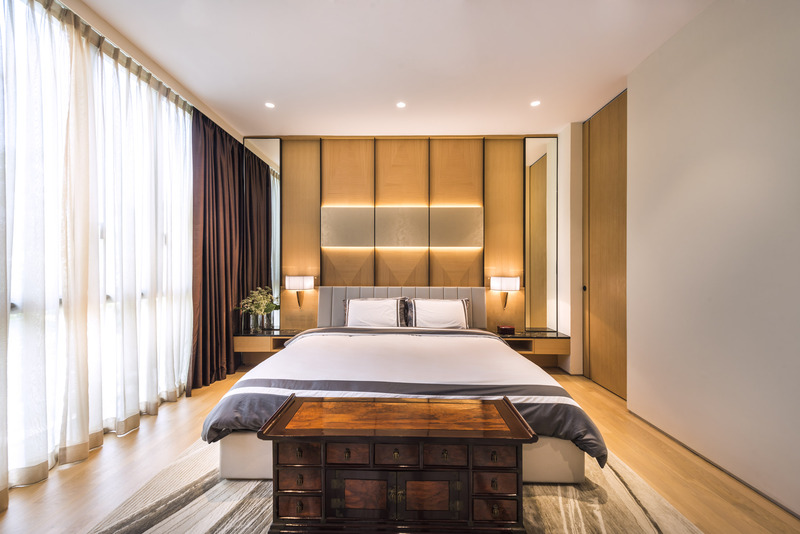 The use of wood cladding, soft furnishing and mirrors creates an intimate relationship with the users, at the same time evolve a ‘modern cottage’ feel. 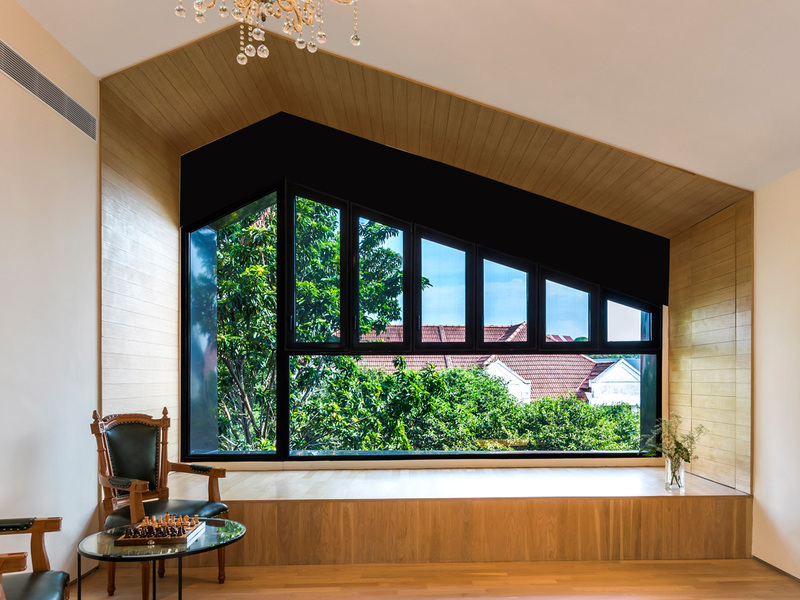 The 2nd bedroom is designed with a skylight along the side of the party-wall, which brings in natural light into the room, so that the user can preserve his privacy from the neighbor. The partywall is also celebrated as a feature with facing bricks exposed. 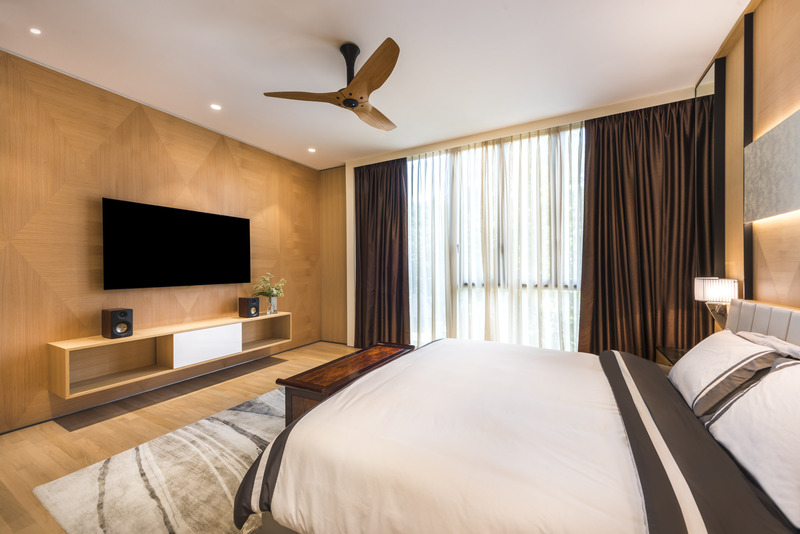 The 3rd bedroom has a view towards the main road and the neighbor, therefore design allows maximum natural light to brighten up the space. 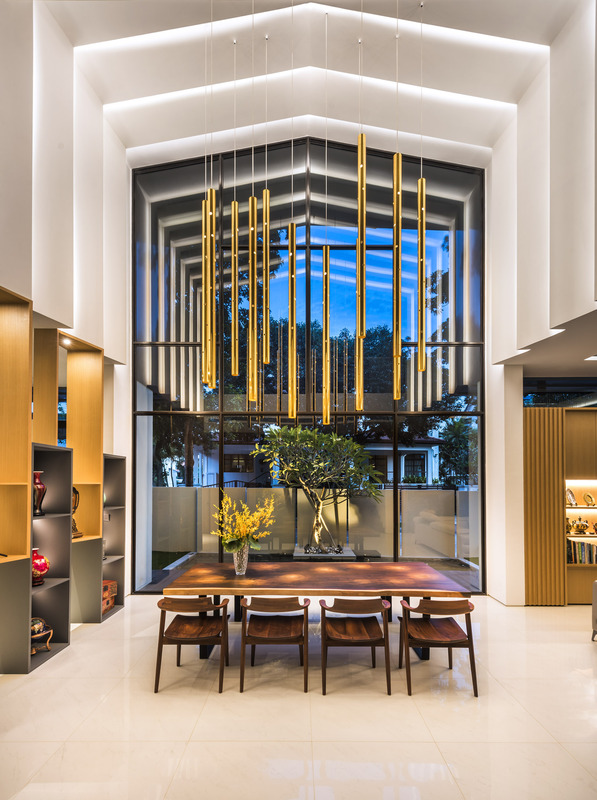 The internal furnishing of the room uses light wood to accentuate the ‘bright and airy’ feel of the room.